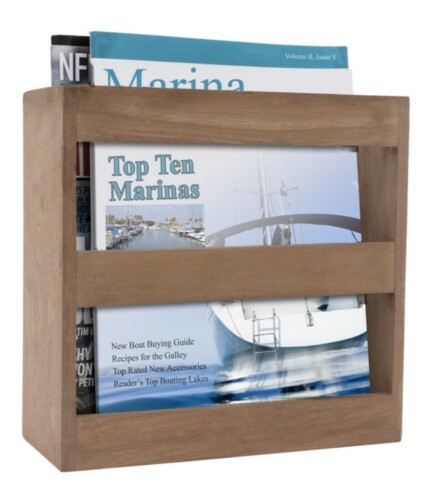 Solid Teakwood magazine racks are a decorative way to display and store magazines on your boat, RV, or in your office or home. This magazine rack also works great for plates, navigation books, charts, etc. Wall-mount or free-standing. Size: 9 3/4" x 9 3/8" x 4 7/8"